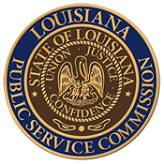 The mission of the Transportation Division is to provide fair and impartial regulation of intrastate common and contract carriers offering services for hire, the LPSC insures the public that only properly certificated and insured motor carriers of household goods, waste, and passengers are operating in Louisiana. The LPSC insures that the motoring public is serviced by properly certificated providers of non-consensual towing and recovery services during road emergency situations. It insures that all state and local police agencies have access to a rotation list of towing and recovery professional that have complied with all liability insurance and financial responsibility requirements of the state. By maintaining and making available to the public a list of properly certificated and insured passenger and household goods carriers, the LPSC insures that those individuals contract with reliable and legal carriers when obtaining their services.